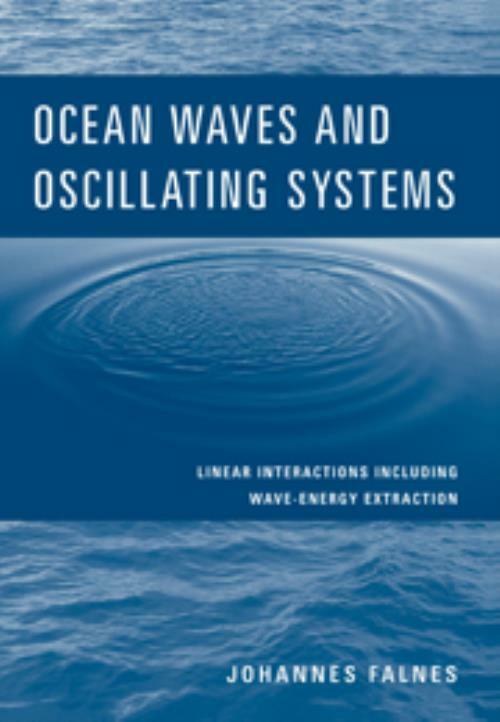 This 2002 book examines the interaction between ocean waves and oscillating systems. With a focus on linear analysis of low-amplitude waves, the text is designed to convey a thorough understanding of wave interactions. Topics covered include the background mathematics of oscillations, gravity waves on water, the dynamics of wave-body interactions, and the absorption of wave energy by oscillating bodies. Linear algebra, complex numbers, differential equations, and Fourier transformation are utilized as bases for the analysis, and each chapter ends with problems. While the book's focus is on linear theory, the practical application of energy storage and transport is interwoven throughout. This book will be appropriate for those with backgrounds in elementary fluid dynamics or hydrodynamics and mathematical analysis. Graduate students and researchers will find it an excellent source of wave energy theory and application. 7. Wave interactions with oscillating water columns; Bibliography; Index. Johannes Falnes Norwegian University of Science and Technology, Trondheim.